These excellent Business Mouse Mats from our advertising department here at C L Promotions are the perfect way for you to promote your business details and company logo. 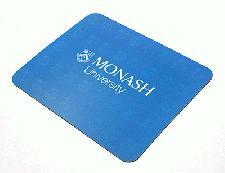 Our Business Mouse Mats have been one of our most popular promotional items for years. Just choose the quantity and colours you like best and we'll see that they all get printed with your business details and company logo. To find out more about our Business Mouse Mats click here and fill in the contact form and we'll be in touch. Other promotional and personalised items besides our Business Mouse Mats click here to view our entire range.